Mention near field communication and most think mobile payments. That’s probably because the next generation technology is being touted as a replacement for contactless cards or potentially even the next wallet. NFC will enable a phone to carry all your credit cards, loyalty cards, maybe eventually even your driver license. But what makes NFC so attractive is the wide range of applications it can support, whether it’s opening a door, logging into your computer, signing on to the Internet, or using your phone like a PDA stylus, touching points on a map or other display to gather further information or directions. Near field communication, co-developed in 2004 by NXP Semiconductors and Sony, is a short-range wireless technology that evolved from existing contactless technologies, according to the NFC Forum, a non-profit association created in 2004 by NFC’s founders and which now includes some 150-member companies. NFC is supposed to simplify the way consumer devices interact with one another, helping people speed connections, receive and share information and even make fast and secure payments. Gerhard Romen, director at Nokia, a manufacturer of NFC-compliant phones, estimates that 85% of NFC applications have nothing to do with payments. He cites ticketing as one example of the many applications possible. Ticketing applications are already underway with pilots in New York City’s Metro system and San Francisco’s Bay Area Rapid Transit system. 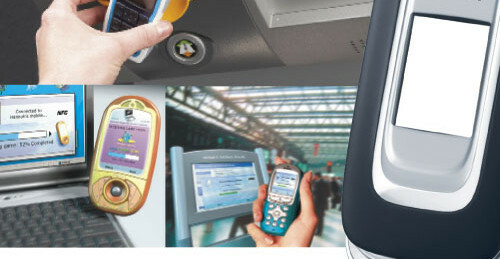 In both cases, NFC-compliant phones are being used as transit tickets similar to how contactless smart cards are used. But the NFC Forum wants people to know there is much more you can do with NFC besides making a contactless payment or riding a transit system. To encourage development of “cool” NFC applications, the organization has conducted an annual contest to encourage out-of-the-box developments. One of the advantages of NFC is that companies already using contactless smart cards for access control won’t need to change the infrastructure. Another major non-payment use of NFC is its capability to manage Bluetooth devices. Bluetooth is a wireless communications protocol, which some may say is similar to NFC, which enables multiple devices to communicate with each other. One of the problems with Bluetooth, however, has been setting up the pairing without conflicting with other nearby Bluetooth devices. Beyond smart posters, products can be tagged to expedite access to key information. Pharmacists and drug manufacturers are considering affixing a tag to the pill container. A new washer and dryer could be tagged and provide access to the owner’s manual or details about its operations. In the Netherlands, 10,000 nurses are using NFC to track their visits to patients’ homes, says Romen. After arriving at the patients’ home they use the NFC device to identify the patients and what needs to be done during that visit. “It also serves as a digital signature so insurance will pay for the health care and can also see what health service was provided,” he adds. 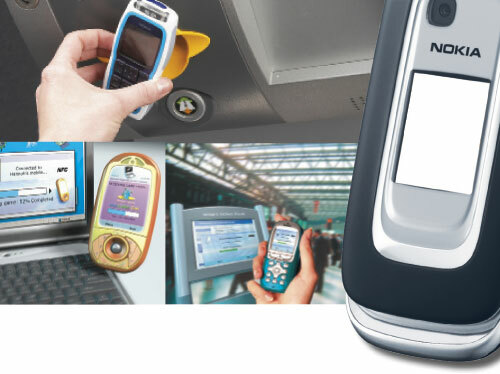 The service is provided by NEDAP, a Netherlands-based ID security company, using Nokia phones. The project was introduced two-years ago and has undergone rapid growth since then, says Romen. In the UK, a security service that provides guards for vacant buildings, places NFC-style tags throughout the buildings. A guard, when he enters, taps his NFC phone against a tag that is then read and transmitted back to the security office. The guard has to make it to the next point in his security sweep in a set amount of time to tap the next tag or the office it notified that there may be a problem. “You never know who’s around the corner in these vacant buildings so this is for the guard’s protection,” says Romen. In Frankfurt, you can touch your phone to a city guide and get a map of the town and in Monaco, you can tour the Grace Kelly Memorial Trail and, with an NFC phone, touch several points along the route to see information about the former film star’s life, says Romen. What has helped spur NFC development to date are the standards the NFC Forum has produced, such as how this information is to be stored in the tags, says Buehrlen. “The specifications and compliance programs in the NFC Forum are materializing and being launched. It is clear for device manufacturers what they have to do and how to achieve interoperability of the devices and to have consistent uses and experiences for the consumer,” says Buehrlen. Balsan says while some are “looking for a killer app,” the vast majority of application at first will be simple. He says Nokia is working with lot of companies who provide applications that will be ready when there’s a national rollout of NFC. 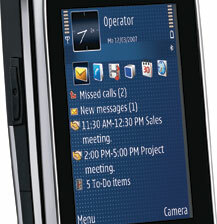 Nokia’s 6212, the next generation NFC phone, will be out en masse by the fourth quarter of 2009. “That phone is really made for Europe and Asia, but we’re working to have a number of these phones for pilots in the Americas,” he adds. But the big holdouts are still the mobile operators. “At the end of the day, nothing can be done without the carrier,” says Balsan. VingCard Elsafe of Norway took first place in the commercial category of the NFC Forum’s “Touching the Future Competition” for its Signature RFID electronic locking system for hotels that enables hotel guests with NFC-enabled phones to bypass the check-in process and unlock their hotel room doors using their phones. The research track winner was the UK’s Lancaster University for its Touch & Interact system. The project uses NFC technology to enable mobile phones and public information screens to share display space, overcoming the screen size limitations common with cell phones. The hotel locking system from VingCard, an Assa Abloy company, isn’t new. It has been around since 2006 and what’s unusual about it is that, despite lack of cell phones to really make the system work, hotels continue to install these NFC-compatible locks. Hotels could make the NFC service available only to guests who are members of its loyalty program. “Once they’re registered, they have the option to receive their room key prior to arrival at the hotel, on their NFC cell phone via a text message. And if the phone is GPS-enabled, they can even find the hotel easier,” he adds. The room key is encrypted and secured by the SIM card inside the phone. 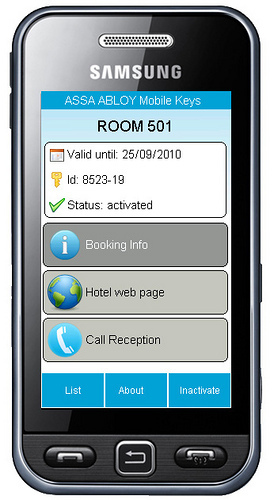 To prove the usability of the concept, Metiver adds, some hotels are even loaning guests an NFC phone when they check in. When it comes time to leave, guests can use the NFC phone to check out through the NFC-enabled TV in the room or an NFC-enabled kiosk. Guests receive their invoices either through text message or printed out at the checkout kiosk. Metiver expects commercial releases in 2009 and 2010. “We’re working with numerous carriers, and some will be announcing commercial launches of NFC applications then,” he adds. Because of the small screen size, current mobile phones may still fail to fully address the requirements of map, multimedia and information browsing applications. Touch & Interact uses mobile phones like a stylus on a PDA. One of the Lancaster researchers probably put it best: It’s like using a touch screen, but the cell phone replaces the finger. You touch the display, such as a map, with your NFC-enabled device at any position to call up selections. During the interaction, both the phone and public screen share the display. This shared display can be useful for separation of public and private information by presenting sensitive information only on the phone. A tourist map application was used to test the project in a real world environment. Enrico Rukzio, academic fellow and lecturer in the computing department at Lancaster, says the cell phone interacts with the larger display, but they don’t show the same thing. “In the prototype shown at the NFC Forum, the big display showed high-resolution map information and the mobile phone displayed contextual information, for example, details on selected points of interests. He says the University of Lancaster developed Touch & Interact as part of an industry-sponsored research project funded by NTT DOCOMO, Japan’s largest mobile operator.